Improve your Ergonomics in your Quilt Studio with these GREAT products! For many years I have recommended that Quilters sew with their body in Ergonomic neutral position. 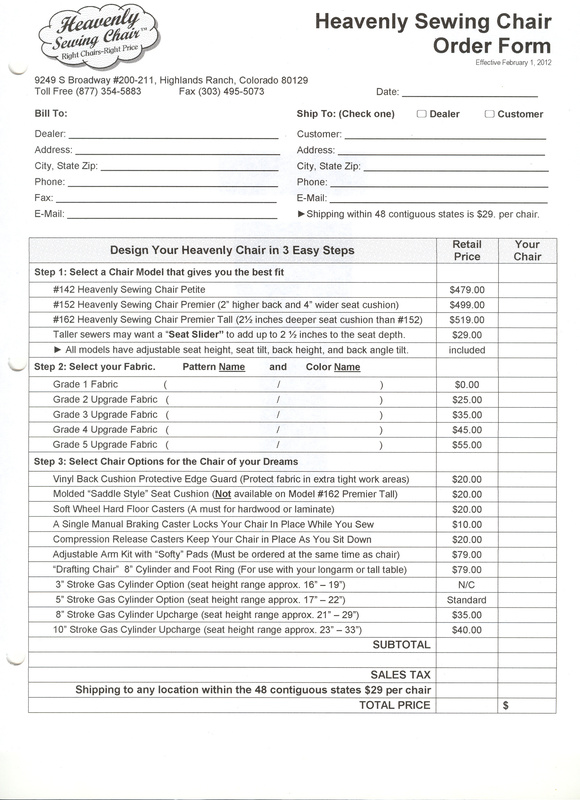 For most quilters this involves raising your chair to put your upper body neutral with the sewing machine bed. But it leaves the problem of dangling legs and chasing the machine pedal across the floor. 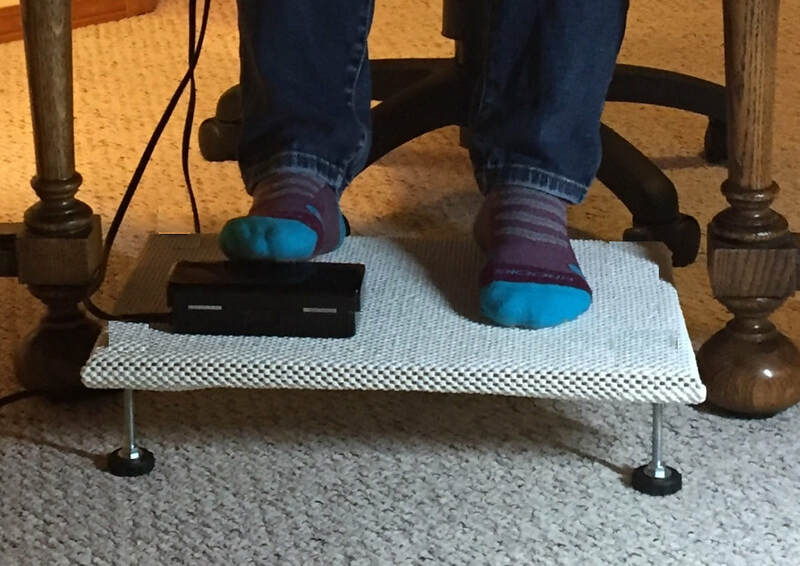 Problem solved: Raise the floor, by using the right height foot rest. I gave up searching for something commercially available and made the right product for all who sew. You can purchase the finished product in five heights: 2", 2 1/2", 3", 3 1/2", or 4"
(contact me if you find you need a special order). My Ergonomic foot rest has padded feet that won't slip on hardwood, vinyl, or carpet. The padding won't mar flooring. The wood laminate board is wrapped with special super grip material to keep your pedal from moving. The hardware is rated for 500 lbs, however the board is not designed to use as a step stool. Or if you are a do-it-yourselfer, buy the finishing kit and just add your own board. Note that Home Depot and Lowe's Hardware will cut boards to any size you want usually for no extra charge. Just make sure your board fits under your sewing table and is approximately 3/4" thick. 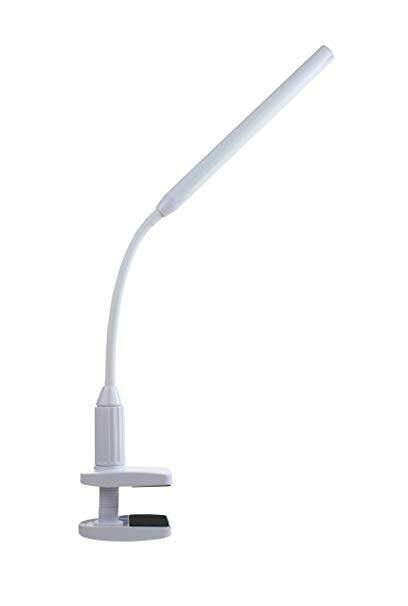 LED table lamp with fully adjustable light bar. Includes AC adapter that plugs into any wall outlet. Touch switch includes four levels of lighting. Output of 400 lumens. 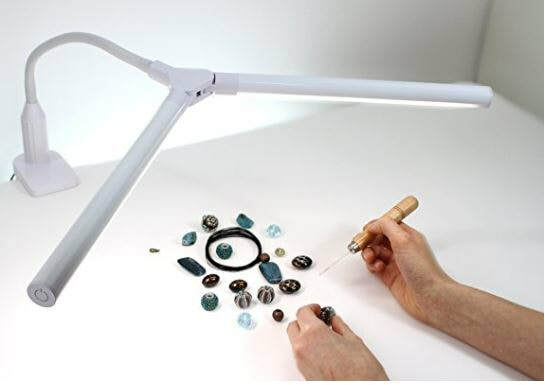 The same LED table lamp with fully adjustable light bar that clamps onto the side of your table! Touch switch includes four levels of lighting. Output of 400 lumens. Double your lighting possibilities with the flexible Daylight DuoLamp. The lamp's two independently adjustable shades allow you to spread light over a very wide area or focus intense light over a small area. 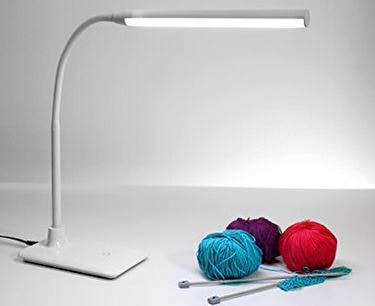 This powerful LED table lamp will add value to any quilt studio with its super high-quality slim brushed chrome design and powerful 4,300 Lux bright light at 6" from 80 ultra bright daylight™ LEDs. This lamp uses only 5W of energy. 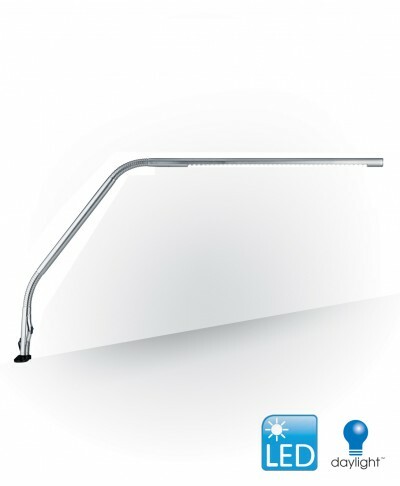 It provides 35" long arm reach and even wide coverage of light which is ideal for large work surfaces. The daylight™ technology also reduces eye strain and glare for healthy vision and allows true color correcting for color matching. 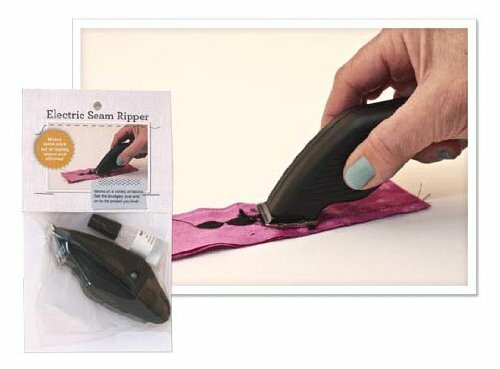 Makes a snap out of removing stitches! Problems with arthritis, carpel tunnel syndrome, tendonitis, hand fatigue, neck or arm pain? Then this cutter is for you! 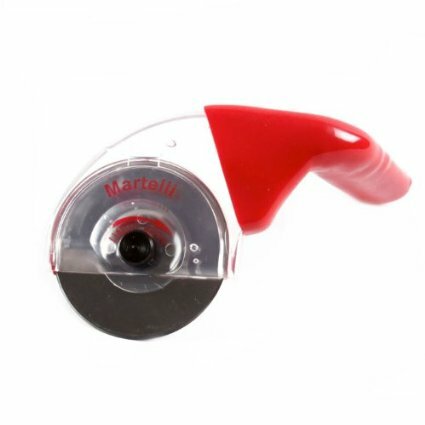 Unlike traditional rotary cutters, the Ergo Cutter is held in a natural position with your arm and hand evenly distributing all of the pressure. Cuts round, scalloped, patterned shapes. Blade guard closes with a flip of a finger. The frame is the infrastructure of the Ergo Cutter. Many of the changes were guided by the advice of orthopedic surgeons, occupational therapists, and other qualified professionals. Try the 60mm Blade Cutter as well! Do you experience fatigue while working in your quilt studio? An Ergonomic Work Triangle located at your sewing station can improve your ability to work for long periods at your sewing machine without experience pain and fatigue. Do your legs ache at night after a long day standing? The first and most important step toward good ergonomics while standing is a great floor mat! SmartCells® anti-fatigue mats enable quilters and crafters to stand comfortably for long periods while minimizing the fatigue and pain associated with standing. Available in a variety of colors. 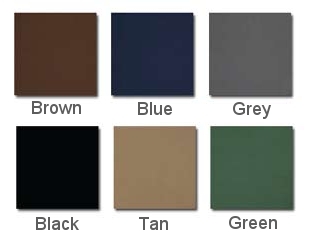 A 2' x 3' mat size is perfect for use at a cutting table or dying sink. The mat has a bevel on all sides, as shown in the photo above. 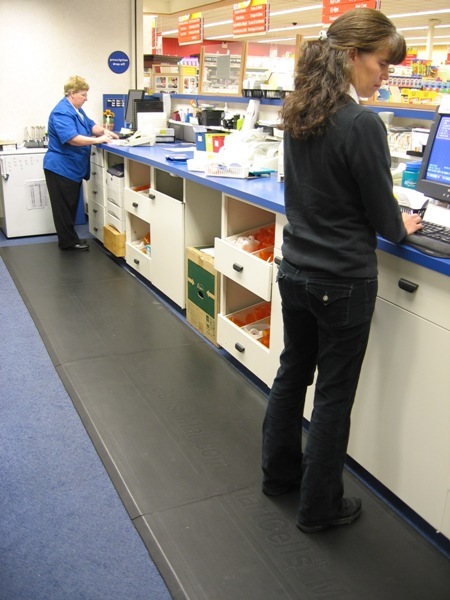 Floor Runner Mats are used everywhere in retail industries to reduce pain and fatigue of employees. Don't you deserve to feel comfortable while standing in front of your longarm quilting machine? Do you have to Stand in one place for a long time? Use a Smart Cell mat and experience comfort like you have never had before. 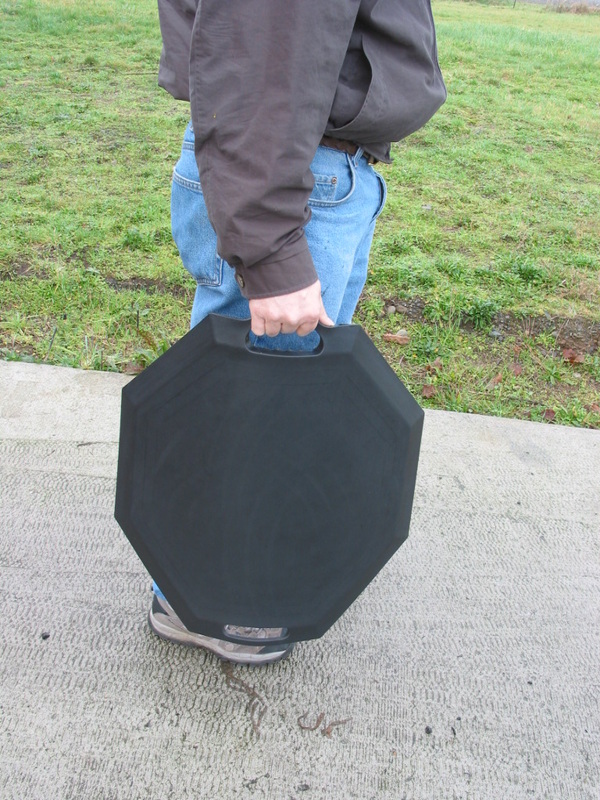 This mat weighs just 5 lbs and has handle for easy transport.